If you are required to propose your own Placement location, which will then be approved by a Chalk & Wire administrator, you will use the Placement Finder to facilitate this process. 4. 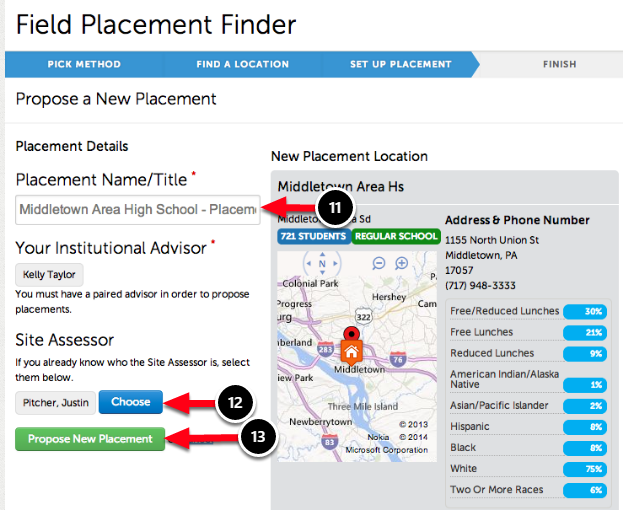 On the main Placement Finder screen select the I Want to Propose a Placement at a School or Other Location in the Database option. 5. 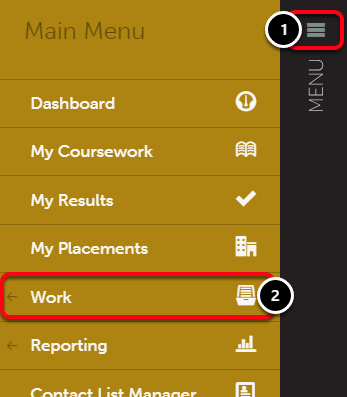 If after selecting the "I Want to Propose a Placement at a School or Other Location in the Database" option and searching for the location you are not able to locate the specific location in the database, return to this screen and select the I want to Search for Other Locations Near Me and Propose a Placement There option instead. In order to search for a placement in the database, you will first need to ensure that you have entered your location. 6. 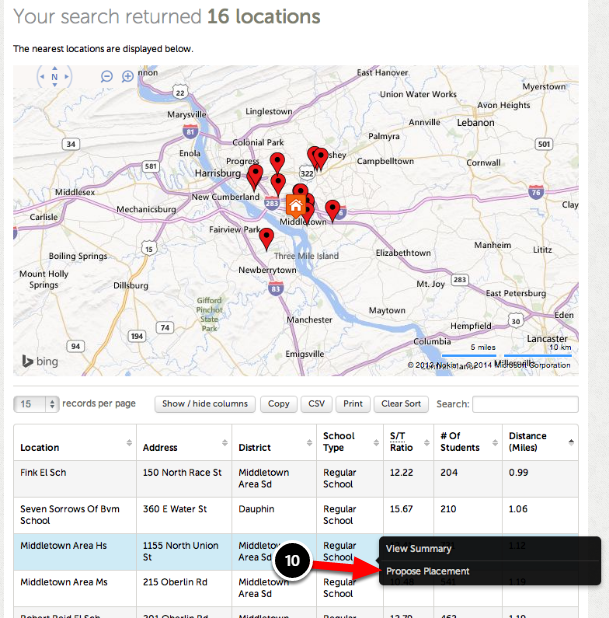 Click on the Where I'm Located button to drop-down additional information. 7. 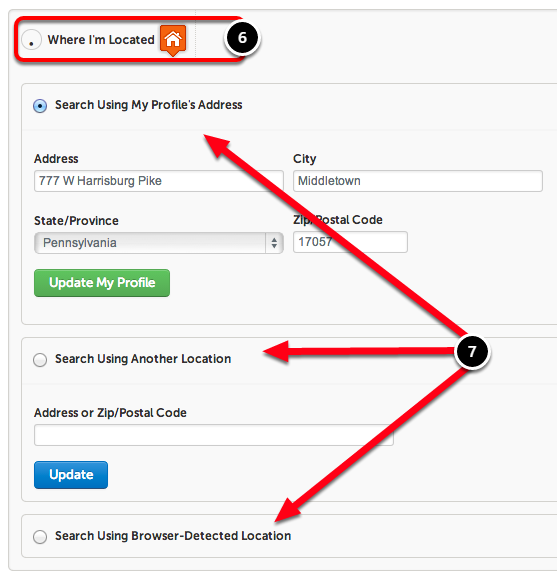 Use one of the three location methods provided: Search Using My Profile's Address, Search Using Another Location, or Search Using Browser-Detected Location. NOTE: If you are searching for a location near to where you live, the options 'Search Using My Profile's Address', or 'Browser-Detected Location'. If you are using your profile's address, be sure to update your address and click 'Update My Profile'. 8. 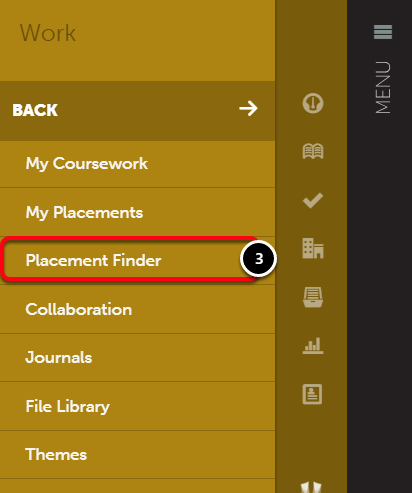 Select your search parameters: To search for placement locations you do not have to select information for all parameters, but doing so will help to refine your search if many locations exist. 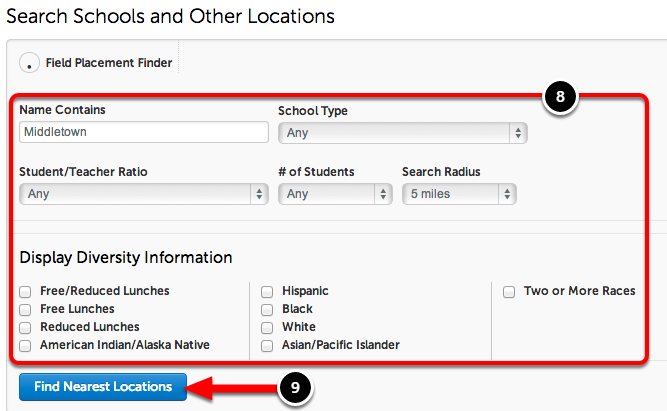 You have the option to search by location 'Name', 'School Type', 'Student/Teacher Ration', '# of Students', 'Search Radius', and 'Diversity Information'. 9. Click Find Nearest Locations. 10. Click on the desired Placement to reveal its options. Select Propose Placement. 11. Enter a Name/Title for the placement. 12. Select the Site Assessor (if you already know this information). 13. Click Propose New Placement.